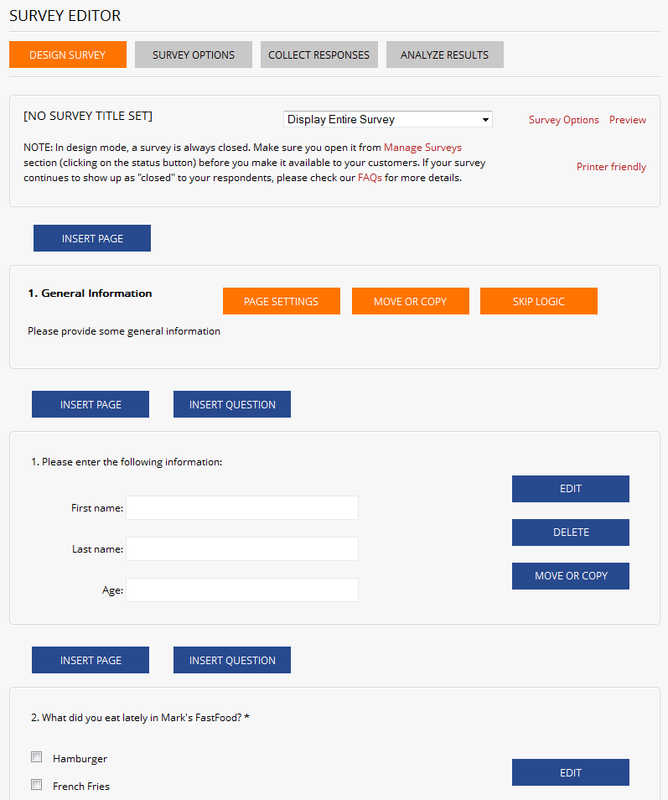 Tutorial - Creating and Deploying Online Surveys - Creating Questions and Pages Cont. Now let's add another question to collect the respondent's name and other information. As this really should have been the first question in the survey, click on the "Insert Question" button that appears above question #1. 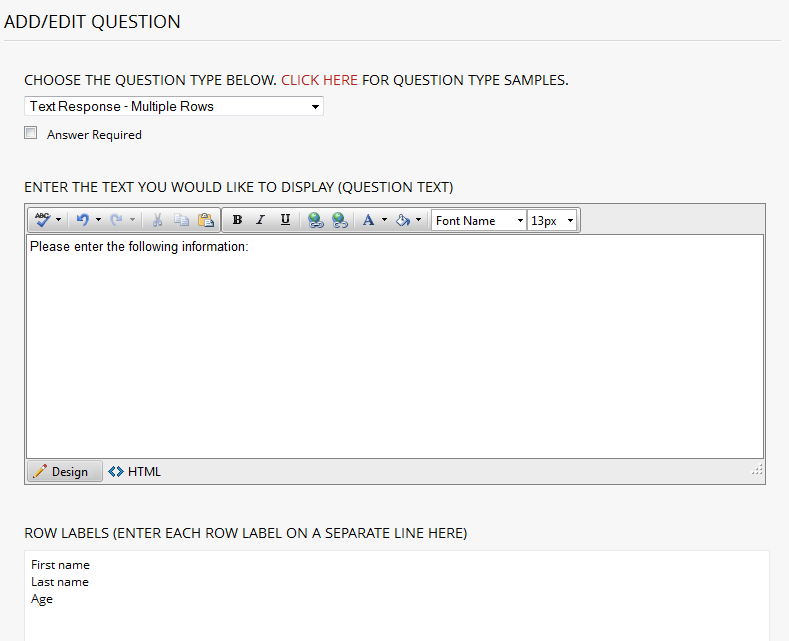 Change the Question Type to "Free Form Response Multiple Rows" and insert the question text and Row Labels as shown above then click the "Submit and Return to Survey Editor" button. The Survey Editor should now reflect the new question as shown below. Note that the Free Form Response Multiple Rows question is a great way to use SurveyPro to create online forms in addition to traditional surveys. Now let's add a second page to the survey by clicking on the "Insert Page" button that appears below question #2. Note that for your convenience, the page settings for this and subsequent pages automatically appears. For the Page Title, enter "Customer Satisfaction" and leave the Page Subtitle blank then click the "Submit" button.